Yes, we are talking about our eyes. Eyes are the most prominent features everyone first draw to. Your eyes are the windows to your souls - very cliche but I had to include this. (obviously eyebrows too, but that's for another post) For those who have naturally long and curled eyelashes, leave us with those stubborn straight spiders that never seem to curl alone. 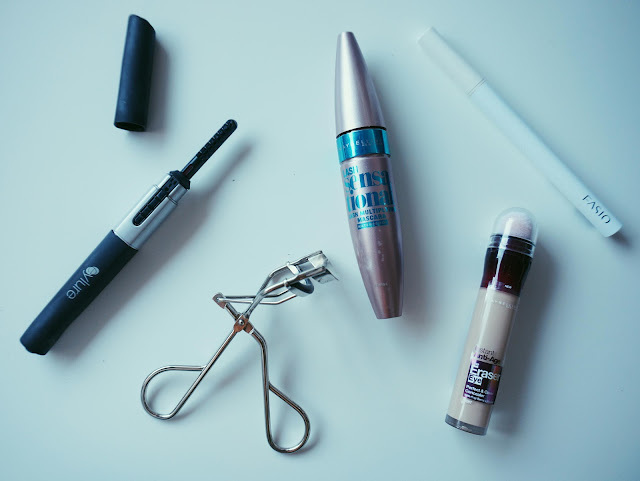 I can still remember being quite young and experimenting with eyelash curlers - please don't buy the cheap ones that pull out your eyelashes or comes in a make-up set. I have done this, and they tug and pull out your eyelashes like no tomorrow and you end up with 3 lashes left. 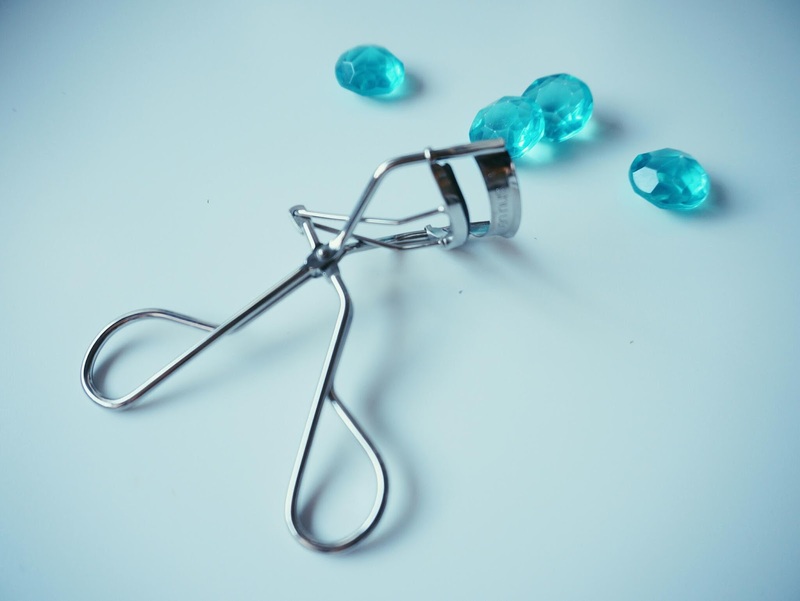 It was up until last year that I have found the most amazing eyelash curler (for me) ever. Having Chinese Asian eyes, my eyes are quite small and rounded therefore, eyelash curlers on the UK market are not made for our eye shape, so you will never be able to curl the few ones at the end. The eyelash curlers that does all the job for me is the Shu Uemura Eyelash Curler, creating an uplifting curl that does not droop ( that is if you use the right mascara). 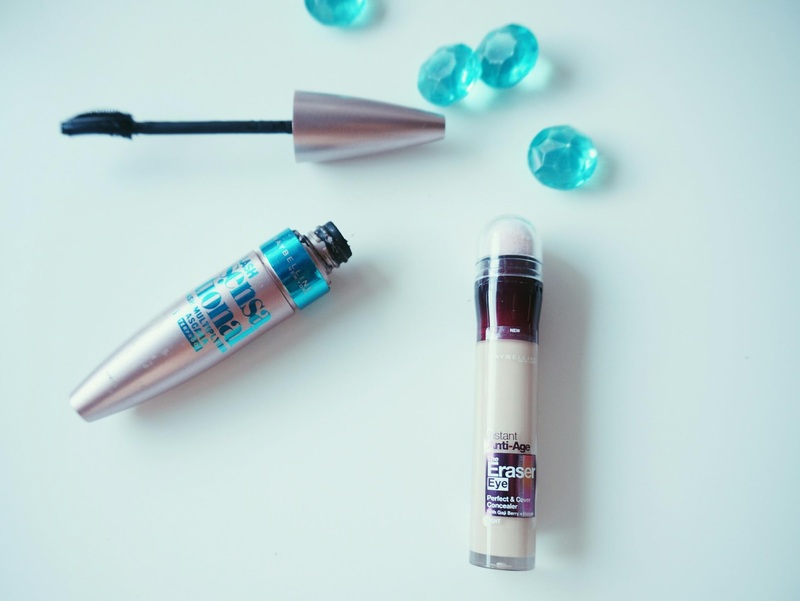 Another essential is finding the right mascara. My current favourite mascara is the Lash Sensational in Waterproof, which is very much hyped about, I waited out until the waterproof version was available in the UK before I purchased, as my lashes only like Waterproof mascaras so I don't end up like a panda. I use 1 coat in this step. After my Shu Uemura eyelash curlers and my mascara application, this is when I use concealer to help cover the baggies and dark circles I have under my eyes. The Maybelline Eraser Eye, I have used this product for years now, and my dark circles won't live without it. There is no point in making an effort if your not going to bother with the whole whack. Your eye-shadow and eyelashes may look amazing but if you don't cover the dark circles it creates a dull overall appearance. 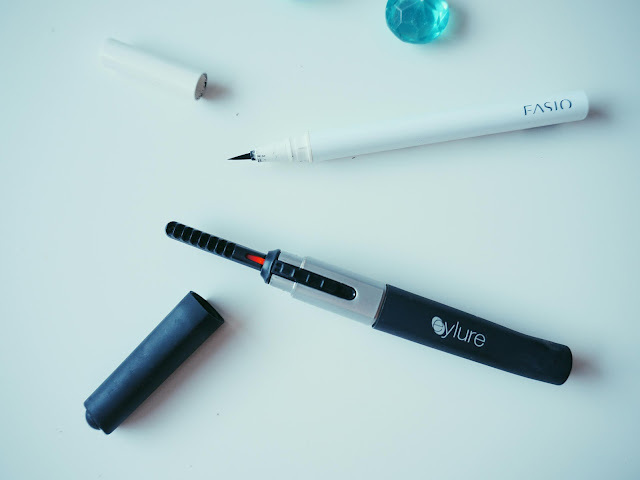 Once I completed my concealer, I go back into my eyes to enhance my eyelashes, this is when I pick up the Eylure Heated Eyelash Curler and gently run it along my eyelashes in the movement of how you want your eyelashes to look at the end. The heated wand gently warms up the mascara in order for you to maneuver your eyelash shape. I have used this heated eyelash curler for over a year now, and no matter how many times I have dropped it, it still works and does an amazing job of keeping you eyelashes up all day and then I reapply mascara to finish off. There are a lot of mixed reviews of this product, but I couldn't live without this. You can purchase this at Look Fantastic for £10.20. And if you have straight stubborn eyelashes like me, you need to try this out, it needs getting use to, but once you get a hand of the technique, you will become a pro in no time. And lastly Eyeliner. I can't live without eyeliner. Inner eyeliner application helps to create fuller looking lashes and helps widen and define the appearance of your eyes making you seem more awake and lively. There are soo many times where I have not worn eyeliner and people say to me 'are you alright? you look really tired!' And that is a look no-one wants. I am currently using the Fasio Pen eyeliner which I purchased in Hong Kong (sorry) but another eyeliner that I was using before Fasio is the Stila Stay All Day Waterproof Liquid Eyeliner which lasted me 6 months and doesn't budge at all and only costs £ 13.00. If you want a precise line and application go and have a look at your local Boots and test the eyeliner out, the nib is extremely sturdy for those who like a sharp wing. These are the steps I go through in order to have an awake eye appearance. What steps do you take in order to have flirty eyelashes? I love your photography on this post. I love the cool toned hue and the addition of the blue stones is fab!